The ever-polished Michelle Obama stepped out this weekend in Montalcino, Italy, and gave us the best inspiration for a vacation style to steal for the summer. The former First Lady wore a pink one-shoulder shirt from Teija, a Finnish designer who trained under Christoper Bailey at Burberry before creating her own label. The shirt added a playful note to Michelles postWhite House wardrobe, which has largely consisted of tea-length dresses and cashmere cardigans. She complemented the look with cropped white jeans, simple flat sandals, and gold hoops. This chic top is the perfect piece to wear all summer: It will transition from a walk in the park to a rooftop party, and if Michelle is wearing it, do you really need any other stamp of approval? Trash with money is still trash, honey. 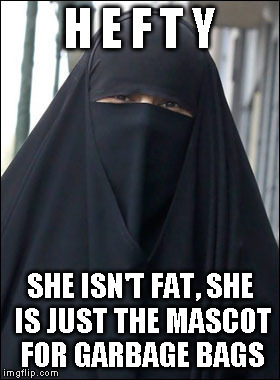 That Burka thing is looking better all the time. That is downright UGLY. The shirt is too. It looks like an unstrung whalebone corset (aka girdle). Reminds me of The Emperor’s New Clothes. MO is the worst dressed FLOTUS and post FLOTUS in history. It is wonderful to finally have a first lady that is classy, elegant, well-mannered, sophisticated and stunningly beautiful. I am so proud of her and DJT. That whole ensemble says “Walmart” from head to toe. And liberals are drooling with admiration over her. Oops wrong picture. There was another photo showing her in some white garment that was sliding off of her torso. Some comenters were upset that she had bare shoulders in one of their famous cathedrals. That’s a lot of polishing. Mr. Miyagi teach you “Wax on; wax off”. Drooling liberal idiots, empowering radicals with their slobber. Gee, was that too harsh? This place ought to do it. The couple reportedly visited the Duomo di Siena, a cathedral which dates back to the 12th century, where Michelle was with a strapless top. So she goes to Islamlic countries covering head to toe, but then snub the catholic dress code for churches, no bare arms ? Showing their true colors are they ? I’ll pitch in for a tarp to throw over that. Nice trashy outfit there Mooch. Where do you shop?